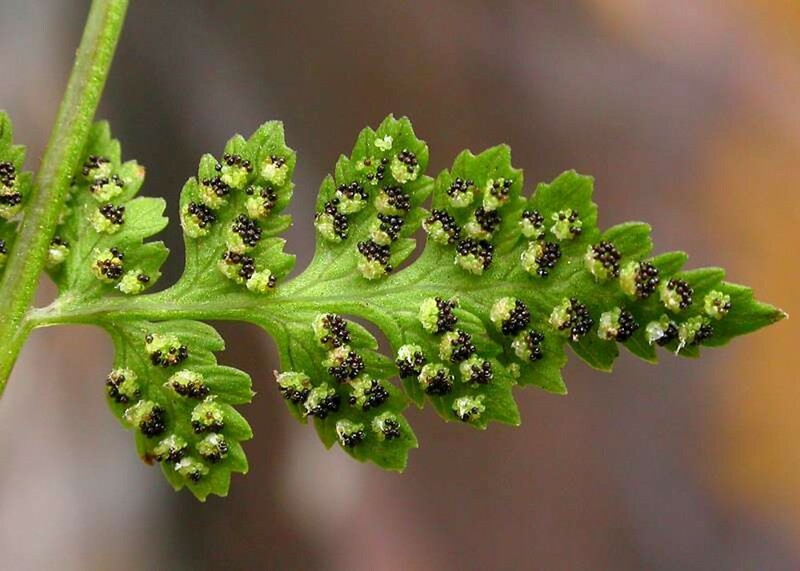 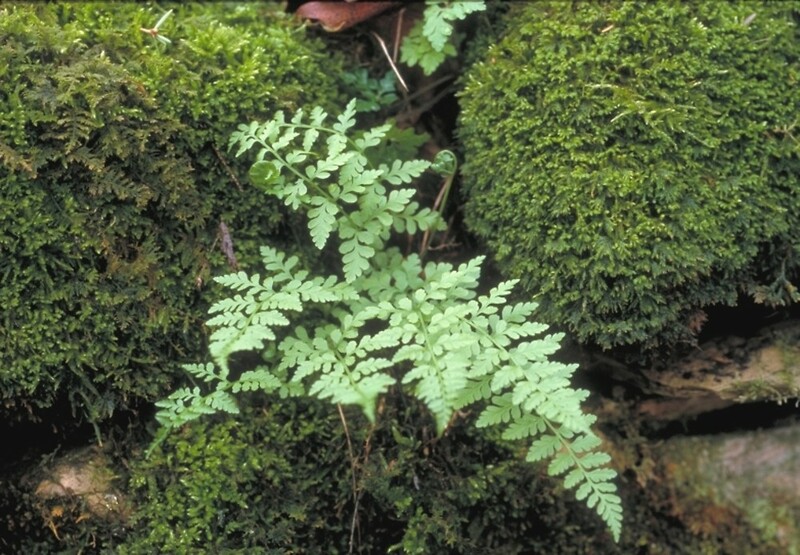 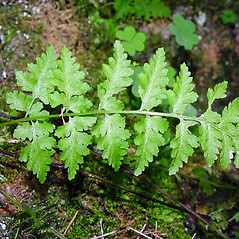 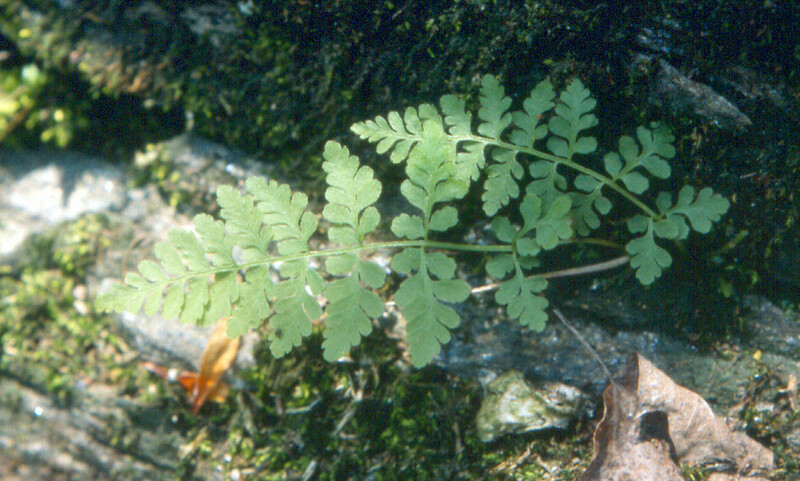 Fragile fern is more likely to be found on cliffs and at higher elevations and/or latitudes than the other fragile fern (Cystopteris) species. 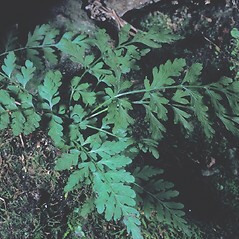 The stem is brittle near its base. 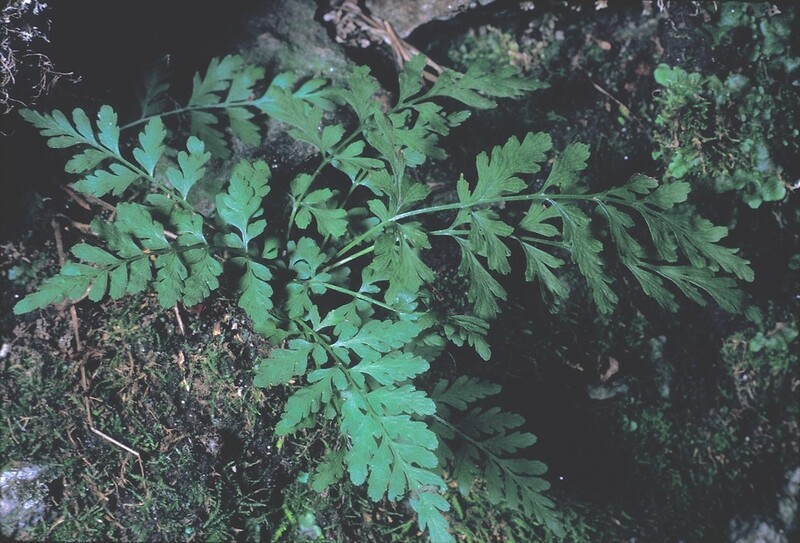 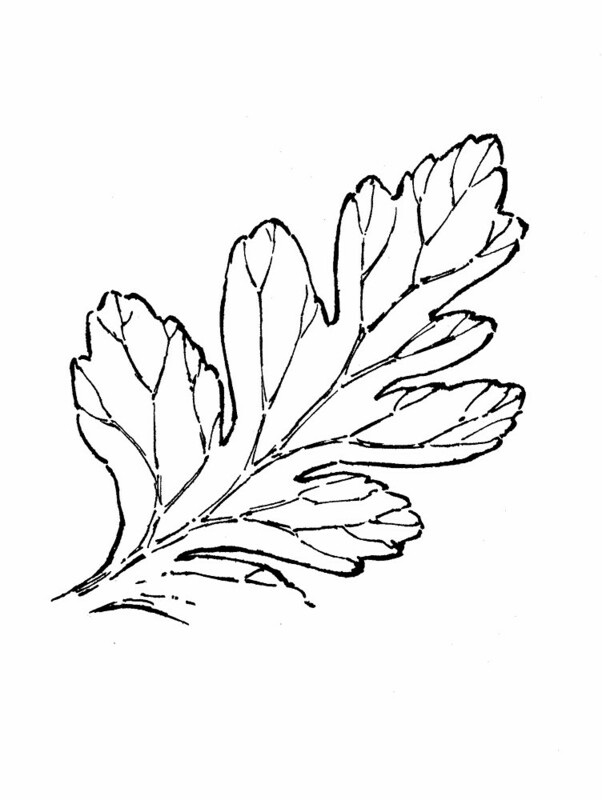 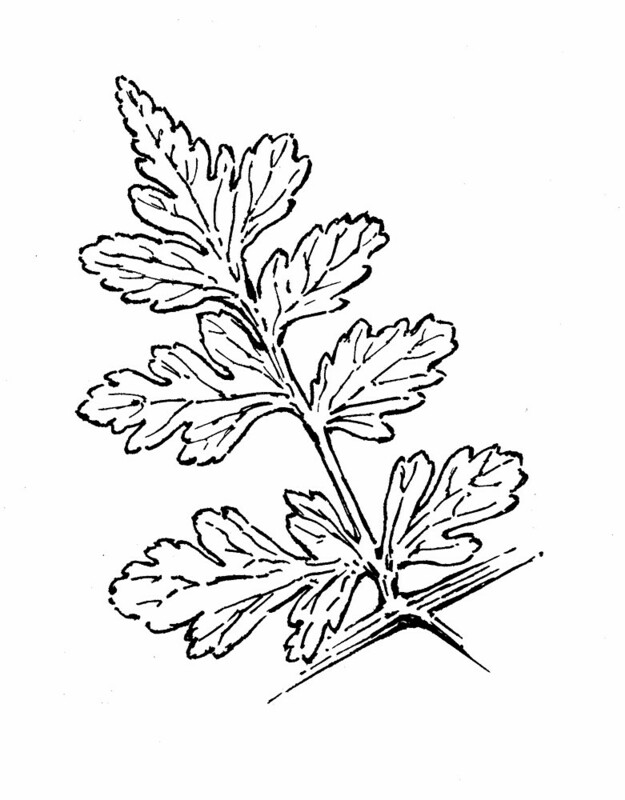 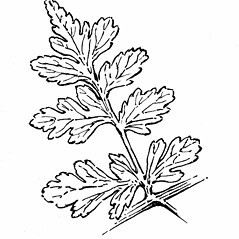 If you think you have found this species, look for the previous year's remaining bases of broken off leaves. 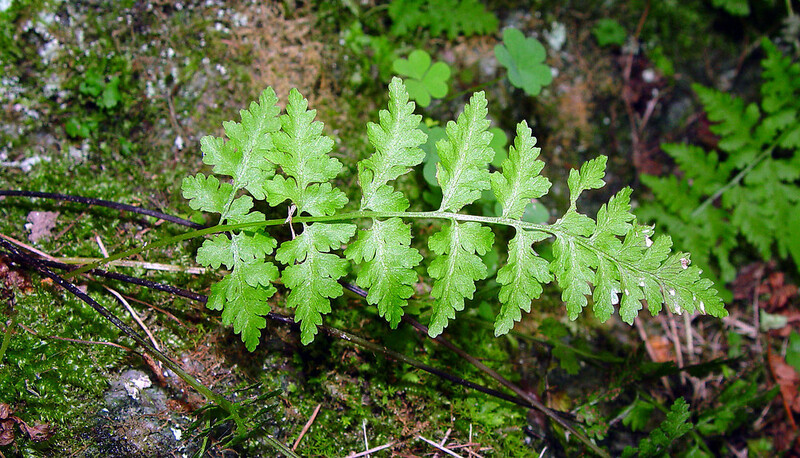 leafules on basal leaflets short-stalked, tapering to base, and angled to lean toward tip of leaflet (vs. C. fragilis, with leafules on basal leaflets unstalked, +/- truncate, and emerging perpendicular to leaflet axis). 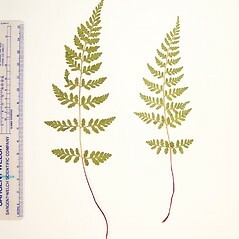 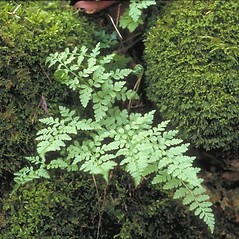 fragile fern. 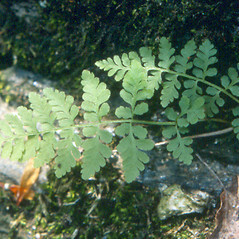 Cystopteris dickieana Sim; Polypodium fragile L. • CT, MA, ME, NH, VT. On rock or thin soil over rock. 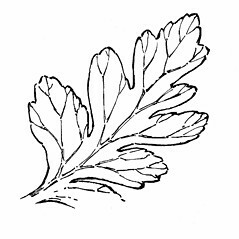 2×5. 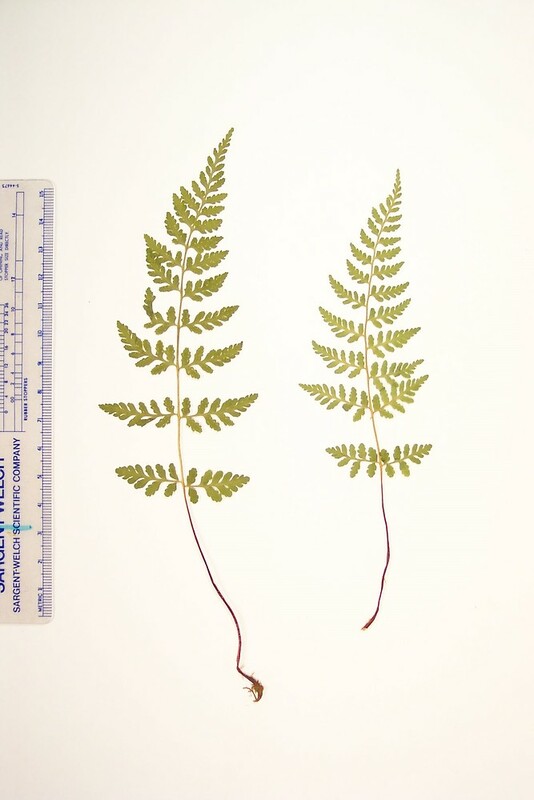 Cystopteris fragilis × Cystopteris tenuis → Recognition of this nothospecies is generally missed during floristic inventories; it is most commonly misidentified as Cystopteris tenuis. 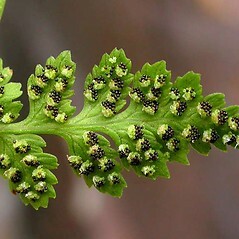 It is intermediate between the two parental taxa, though on average larger than either, and possesses abortive spores.